1. Stand with your feet shoulder-width apart, hold a dumbbell in each hand, and raise the dumbbells until your upper arms are parallel to the floor and your elbows are directly under the wrists. 2. Bring the elbows and forearms toward the midline of the body and then return to the starting position. 4. Return to the starting position and repeat the movement until the set is complete. Keep your back straight, engage the core, open the chest and face front. Breathe out as you bring the elbows and forearms toward the midline of the body, and squeeze the chest. Keep your arms at a 90-degree angle and breathe in as you return to the starting position. 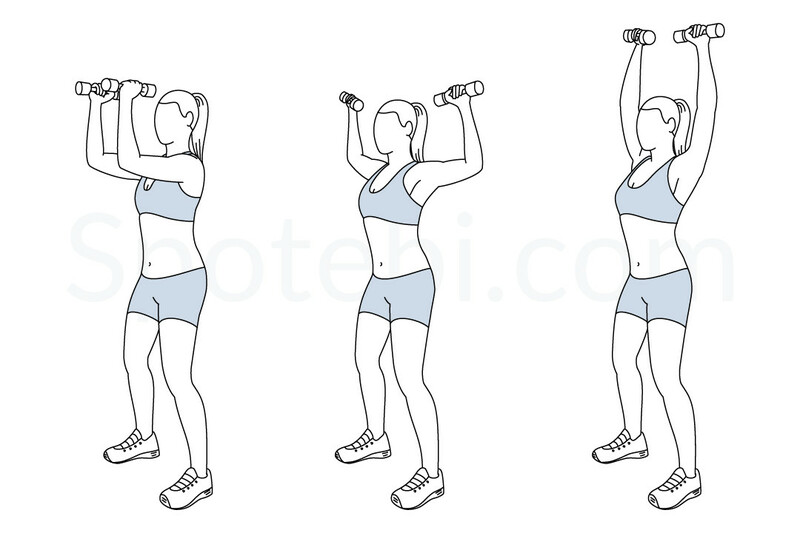 Exhale as you push the dumbbells up and over your head, and maintain your hands shoulder-width apart. The elbow squeeze shoulder press targets the chest and shoulder muscles and strengthens your upper body. 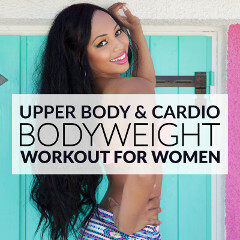 This exercise helps to tone your arms, shoulders, chest and back, improves the posture and lifts the breasts. 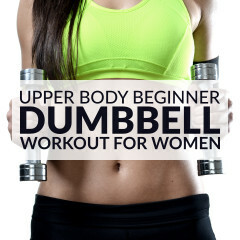 Start with the standing chest fly and the dumbbell shoulder press. Once you’ve acquired proper exercise form, combine the 2 movements and do 2 or 3 sets of 8 to 12 repetitions of the elbow squeeze shoulder press.